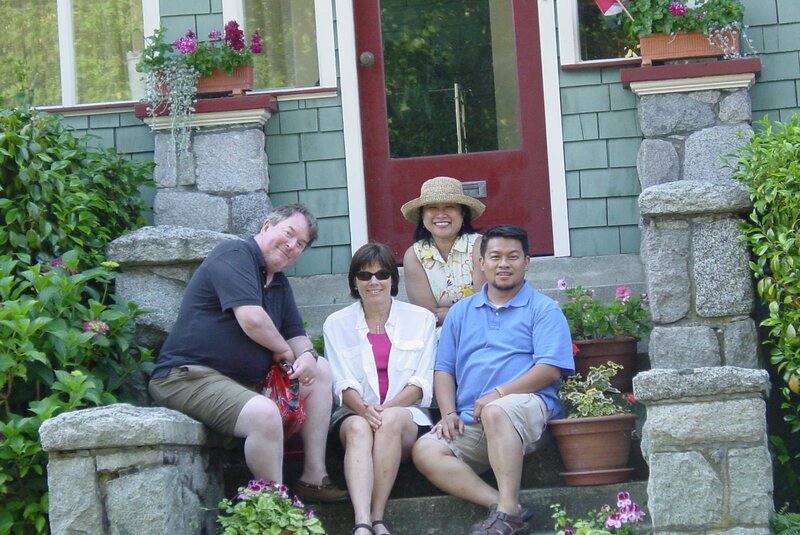 We arrived on Vancouver Island after noon on Thursday and my trusty GPS took us to an address in Victoria where Chris and Peggy from Charlottesville met us at the door. We took off for downtown as we had just a few hours. My cousin and I were due in Vancouver later that day. 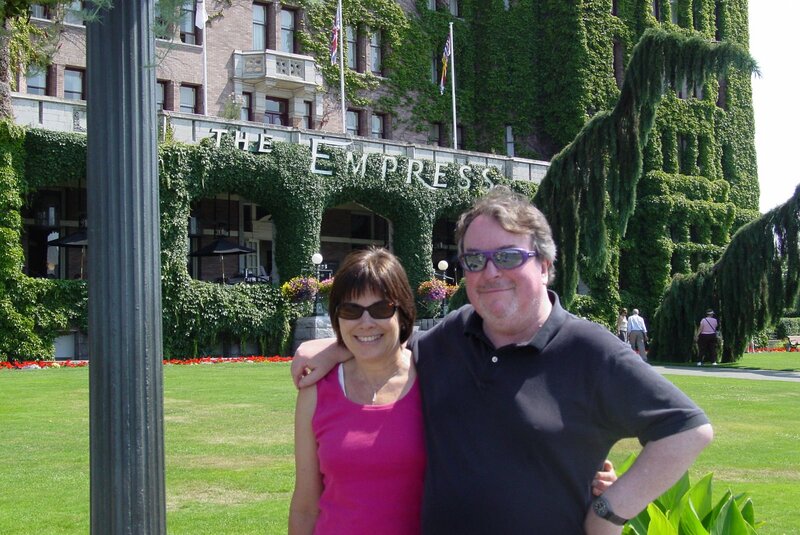 My cousin Maria and I in front of the Empress in downtown Victoria. Peggy and Chris from Charlottesville. 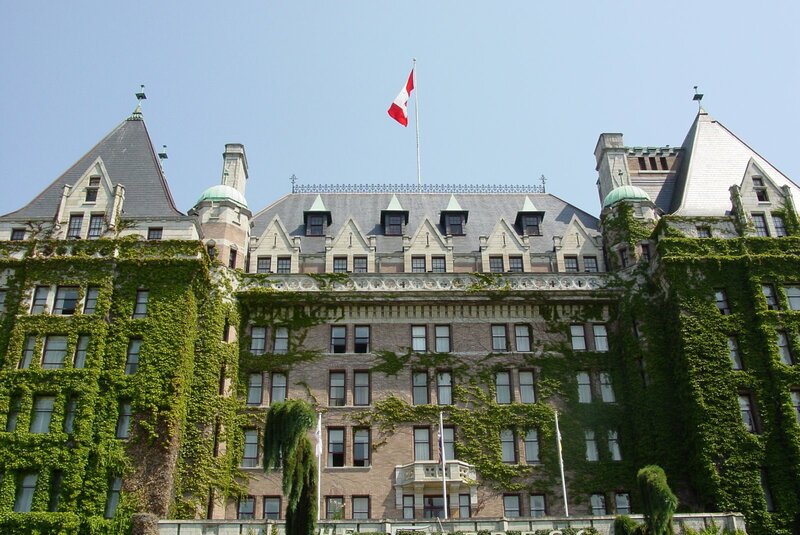 Another view of the Empress Hotel. Posing for a final picture before hitting the road again. 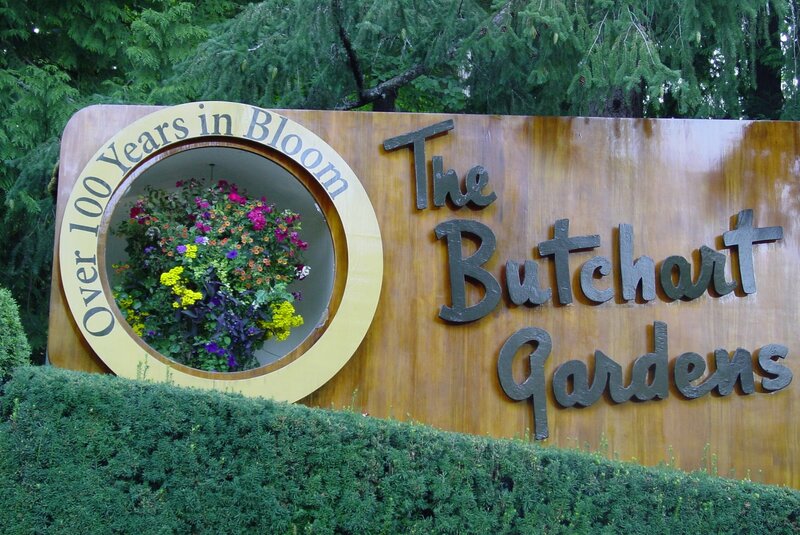 On the way to the ferry, we decided to visit the Butchart Gardens … in full bloom. Sunken gardens in what used to be a limestone quarry. 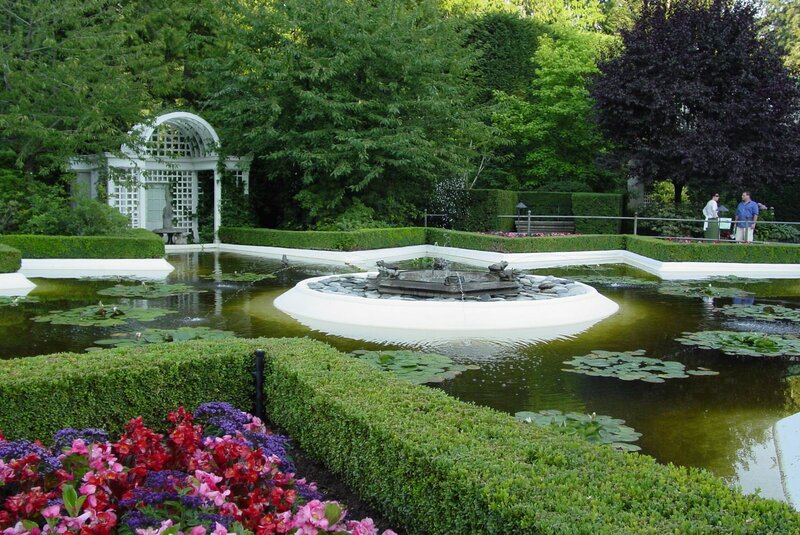 Manicured lawns, colors, fountains, sculpture … a pleasant retreat from a hectic schedule. 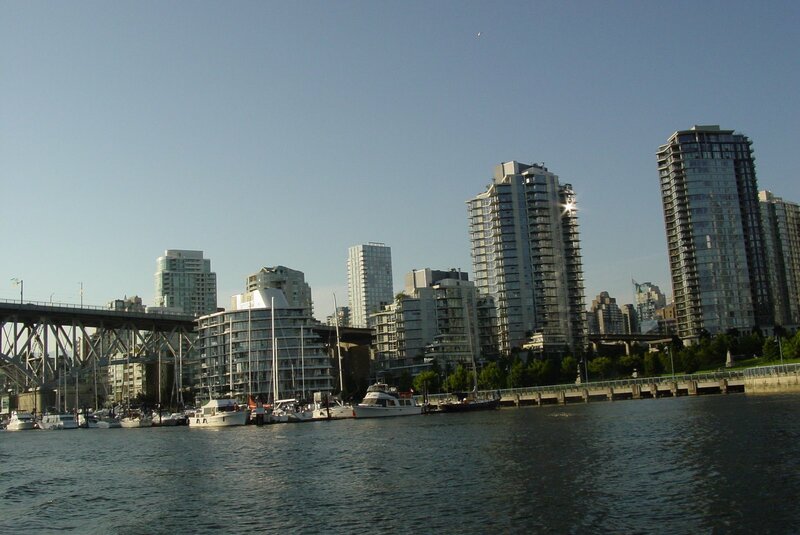 Vancouver from an aquabus tour on False Creek. A sister vessel. Ours was much larger but not by much. Part of the skyline. The golfball was the site of the World Police and Fire Games which was taking place these next two weeks. Opening ceremonies were that evening, but not open to the public. The couple from Austria staying at our B&B had a 23 year old son competing in the games. After the mini tour, as we were heading back to the bus stop, we saw signs for theatre on the island, Les Miz and the Altar Boys. I had seen Les Miz several times, and the Altar Boys when it was off off Broadway some years back. That we decided to see. Catholic humor. Quite enjoyable. We got back to the B&B around 10pm. Today we head back to Seattle.